The Park Commission has approved camping sites for Bidwell Park. 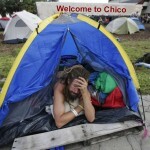 In a 5-0 vote Monday night Chico’s park commissioners approved 24 designated camping sites in both upper and lower Bidwell Park, for stays up to 30 days. 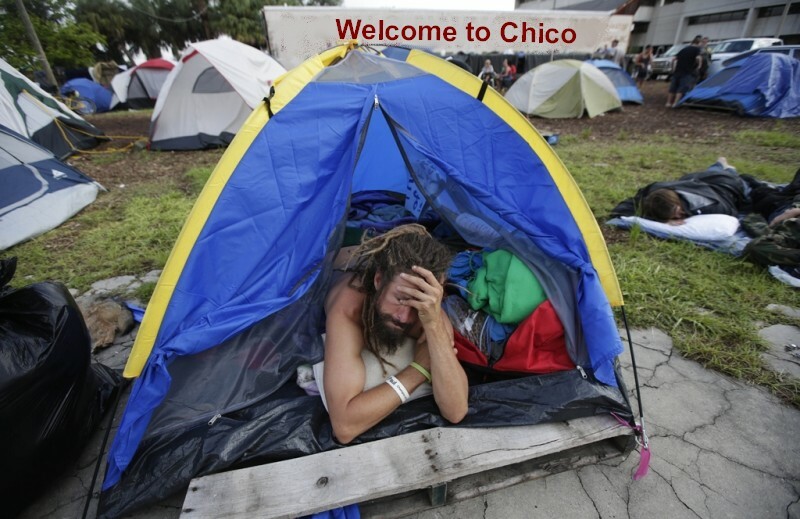 Although the camping sites will be open to anyone, the commission’s action was proposed by the Homeless Task Force (HTF) as an immediate and low cost way to provide housing for Chico’s growing homeless population. “We’ve already had illegal camping, but by assigning designated camp sites for these travelers we can monitor the situation much better,” said Chico’s Parks and Recreation supervisor Len Wilson. “Look this is long overdue! The police have better things to be doing than harassing homeless people who just need a place camp,” Wilson quipped prior to the commission’s vote. The Park Commission echoed Wilson’s sentiments with a motion to adopt the new camping ordinance which passed without objection. 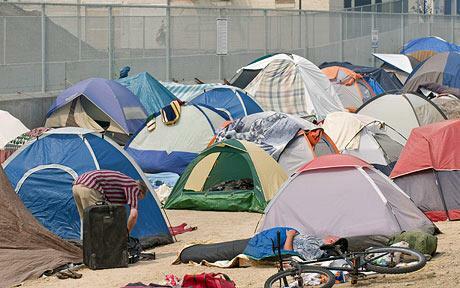 The largest of the encampments (200 tents) is to be located South of the pool area near Caper Acres where permanent restroom facilities are already in place. The HTF would like to see showers added to the facilities this summer, but for now this will have to do. It’s anticipated the camp sites will accommodate up to 1500 ca mpers, said Marsha Roloff, Chair person of the HTF. This is near perfect…it’s so close to the possible, nay the probable, that I can see this idea gaining a following…lol, even with a self induced warning ya still got me. Great Jack, but please, dont be giving them any more ideas. It would come as no surpise. After all, a few years ago I would have thought a law that made plastic grocery bags illegal would have been an April fools day joke. But no so when you have a city council and state legislature made up of fools. You had me going there, so glad it’s a joke. Not as bad as the one some joker pulled a few years back on April 1st when he wrote a whole article about dinosaur bones being found on table mountain!